06/12/2008, Saturday and catch your Library. Watch the Programme “Right Click” on Asianet at 10.30 p.m. on 07/12/2008 , Friday. 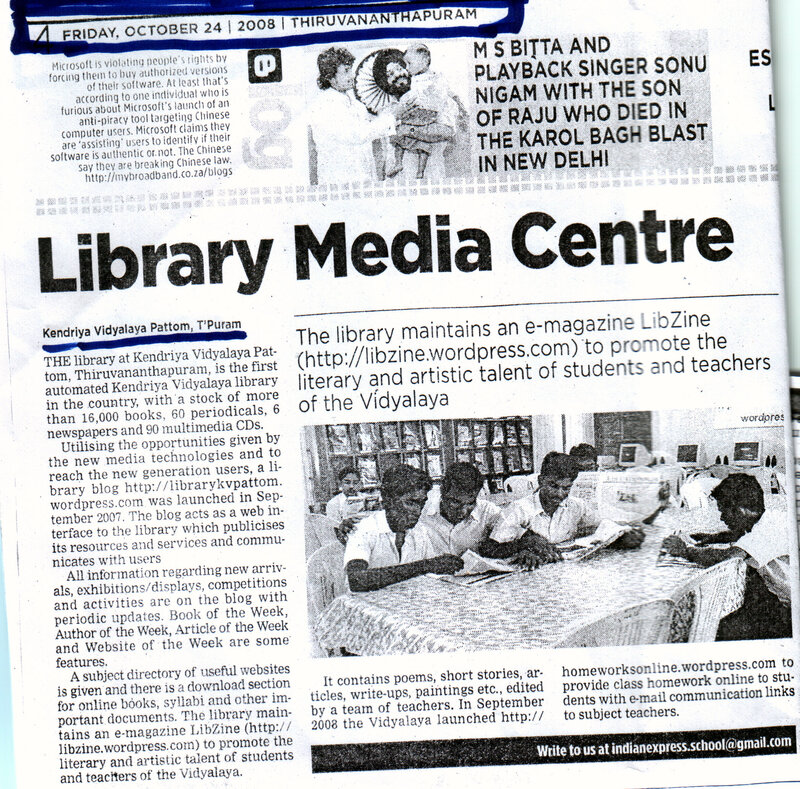 Know more about your Library. I feel quite proud of my school for taking the initiative for such innovative endeavours.